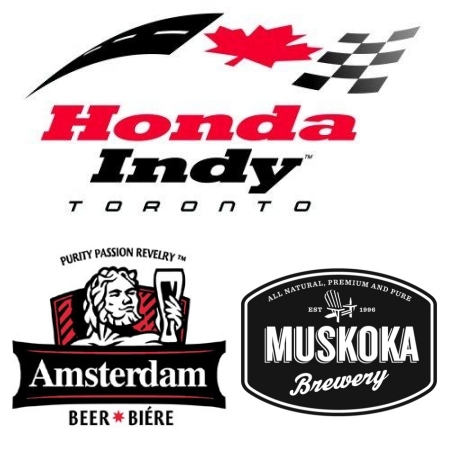 TORONTO, ON – In what could be considered a major coup for Ontario’s craft brewing industry, Honda Indy Toronto has announced that Muskoka Brewery and Amsterdam Brewery have replaced Labatt as the official beer suppliers of the annual event. According to an article in the Toronto Star, Labatt’s contract with the race expired last year, and when negotiations to renew were going more slowly than the Indy liked, they turned to the Ontario Craft Brewers who signed a multi-year contract. The agreement means that for this year, Muskoka and Amsterdam will have exclusive pouring rights the event, which will attract thousands of race fans to Toronto’s waterfront on July 6th to 8th. Since the deal is with the Ontario Craft Brewers rather than with the breweries directly, it’s possible that more small Ontario breweries will be featured in future years. This news comes in the same week that the LCBO announced sales of Ontario craft beer had gone up 45% in the 2011-12 fiscal year, which is the largest increase of any product segment by a large margin.